It’s midday in Ashe Nge Toe and work is winding down for the day. U Sein Htun and some neighbors are gathered around a table in the shade under his house to chat over cups of green tea and tea leaf salad. 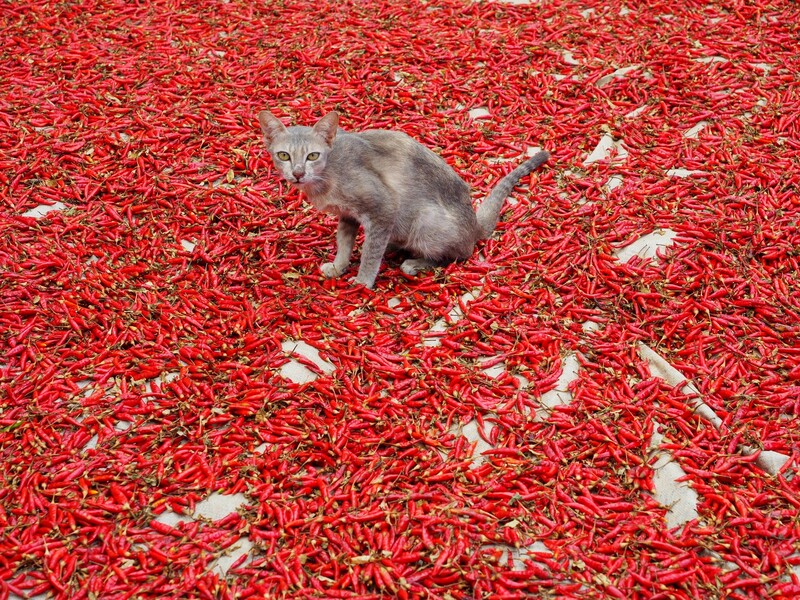 In his front yard, the gains of the day’s labor — red chilies — have already been spread out across a large tarp to dry in the sun. U Sein Htun has been a farmer for 33 years. Like most farmers in the area, his main crops are chili and onions. U Sein Htun also owns two paddy threshers which he rents out in return for baskets of rice, and he’s saving to purchase a tractor and plow, which he says he’ll be able to rent out for far more. 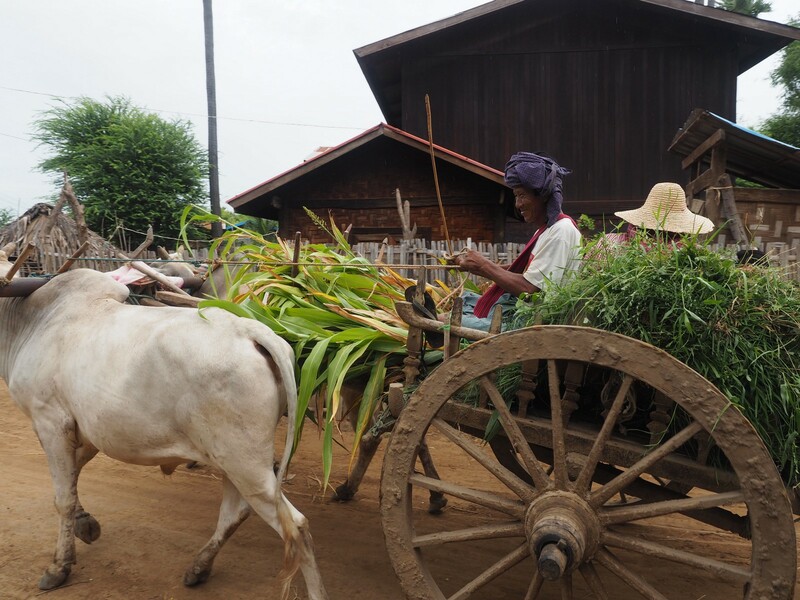 U Sein Htun supplements his harvest income with a Proximity crop loan. Most of U Sein Htun’s income goes into planting and maintaining his crops. For the last three seasons he’s been supplementing this with our low interest crop loan and from what he earns each harvest he saves some to put towards his new tractor and upgrades to his home. Whatever’s left he puts towards a community fund. Chili and onions are the main crops grown in Ashe Nge Toe. 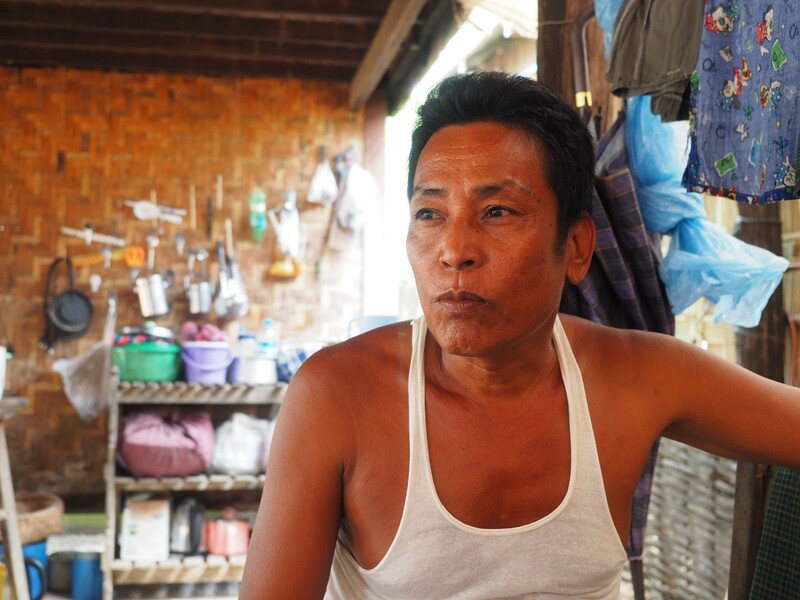 In villages like Ashe Nge Toe, there’s a social contract, explains U Sein Htun. With traditionally very little outside support, the community has always pooled their money together to pay for essentials such as hospital visits for the elderly, upgrades to village roads and donations to families who have recently lost loved ones. The residents of Ashe Nge Toe also like to have fun. Weddings, funerals, Buddhist coming-of-age ceremonies known as shin sar phyu, and other religious ceremonies, are occasions when the whole village comes together. Wedding invitations are big business in Ashe Nge Toe. 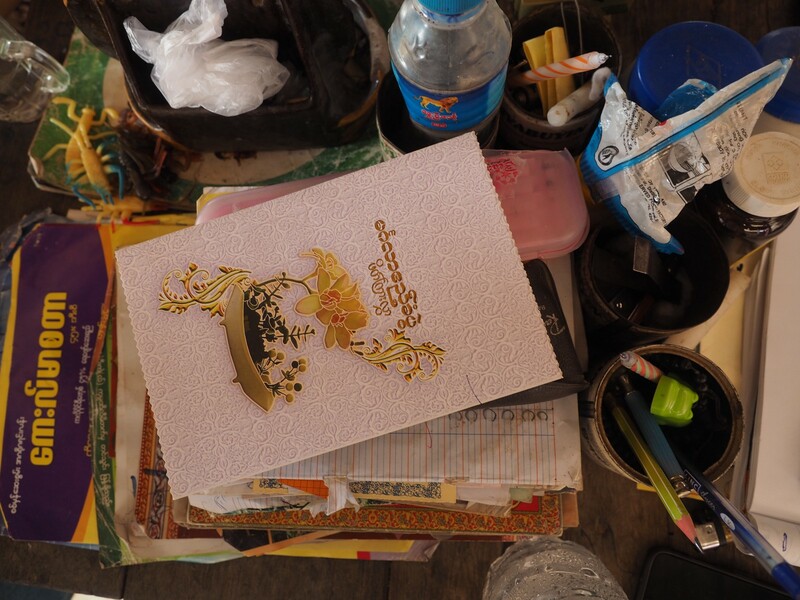 In Ashe Nge Toe it doesn’t matter if you’re rich or poor, everyone gives what they can afford, says U Sein Htun, who usually gives between K5,000 to K10,000 (US$3.20 to $6.40) to newlyweds or bereaved families. A short motorbike ride away in the village of Pann Kwar, Ma Thida Htay and her husband grow chilies and onions on their one-acre plot. They take out a Proximity crop loan every season which they use to pay for seeds, fertilizer and land preparation. Ma Thida Htay also works as a farm laborer throughout the year while her husband has a side job repairing motorbikes and solar panels. Each month they give K5,000 to K10,000 to a fund organized by the village chief from which the village can distribute financial support to those in need. In Pann Kway, help is always available when you need it, says Ma Thida Htay. From this fund residents can also take out small loans at one percent interest. Weddings and funerals are also a big deal in Pann Kwar with Ma Thida Htay and her husband usually donating about K5,000 to each event. The residents of Pann Kwar also enjoy a social event. Last year, Ma Thida Htay and her husband received a surprise visit from some relatives in the village who wanted help paying back an outstanding debt. Ma Thida Htay agreed with the moneylender to pay back her in-laws’ K1,000,000 debt using her land as collateral. The debt has since been cleared but Ma Thida Htay says she never regretted her decision.